My passion for serving others and creating joyful celebrations has been prominent throughout my entire life. With a degree in Fashion Merchandising and Business Marketing, I’ve mastered the hard skills that are necessary to create and execute a design or project from beginning to end. I currently offer event consulting, day of coordination, and full service planning and design. I also customize planning packages to the needs of each clients if they don’t fit in the above parameters. What I can’t get enough of? Fresh flowers, the lake, every single thing in Anthropologie, a trip to HomeGoods, a long run to clear my mind, spending time outdoors, oatmeal chocolate chip cookies, and Ben and Jerry’s Chunky Monkey ice cream. I truly believe that every couple is unique and their wedding day should reflect their journey to this monumental time in their life. I have an eye for color and style, am passionate about mixing textures and dimension, and while tradition is good, I firmly believe no wedding should look or feel the same. Wedding planning is a combination of two parts – logistics and creativity – and both parts receive the utmost attention during the planning process. All of my day of and full service clients receive access to their very own profile on my online planning platform, Aisle Planner. I work hand-in-hand with my clients through the planning process and every detail is added to this program to keep clients on track and updated in real time as plans evolve. The ideal Alyssa Thomas Events client is excited to host a wedding that reflects their love story in a unique and personal way. ATE couples love a little romance and a little whimsy, and aren’t afraid to use color, texture, and dimension to portray their personal style. 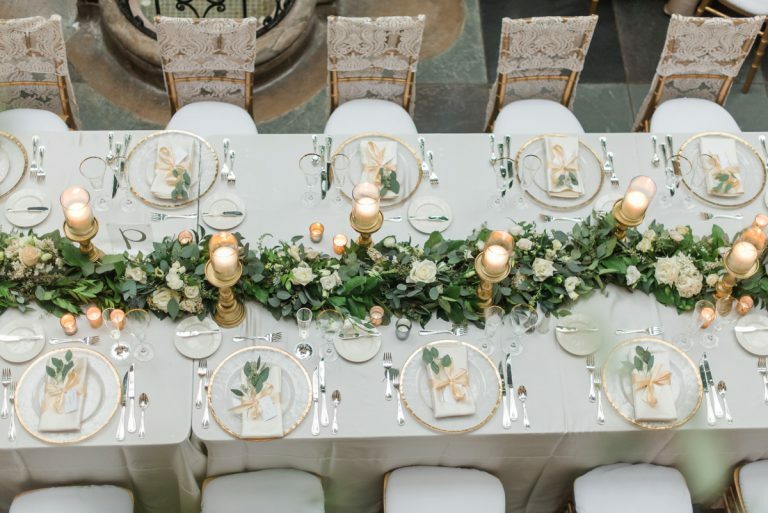 They understand that selecting a venue that aligns with their vision is the heart and soul of the entire planning process and they are passionate about hosting a wedding that celebrates their love through a series of thoughtful details that are appreciated. I believe that your life experiences are what make you the unique and wonderful human being you are today, and that’s where the planning process begins – with you, your passions, your interests, and the feelings you want to evoke on your wedding day. The first step in my creative process is taking time to learn about my clients, their experiences in life, and their journey to finding the person they want to spend the rest of their life with. Building a trusting relationship with my clients and my time spent learning more about them is the backbone of the entire process and influences the vendor choices and wedding day design. It’s also important to note that while I like to begin working with my full service clients 1-1.5 years in advance of their wedding date, I have planned a full wedding in as little as four months. There is never a wrong time to hire a professional to help you plan.